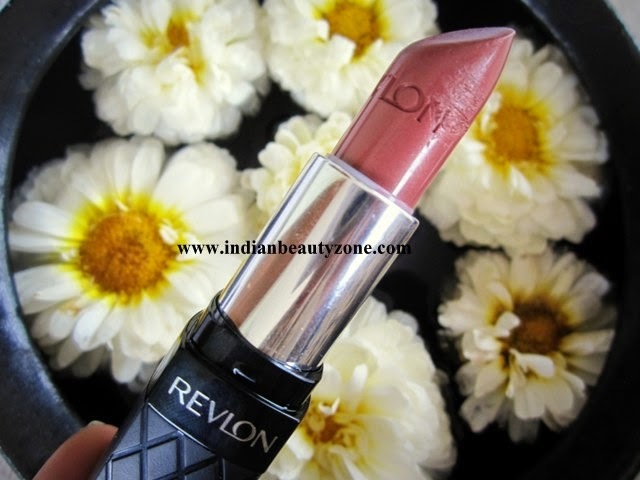 This is my first post here on Indian Beauty Zone and I am glad. 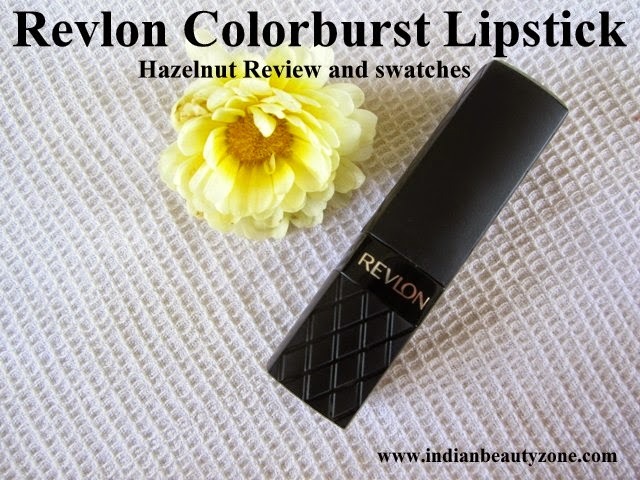 The product that I will be reviewing for you all is the Revlon Colorburst Lipstick in shade Hazelnut. Generally brown shades are said to give an aged look when worn. But this one comes as a breath of fresh air in this scenario and I shall give a detailed review for you all. 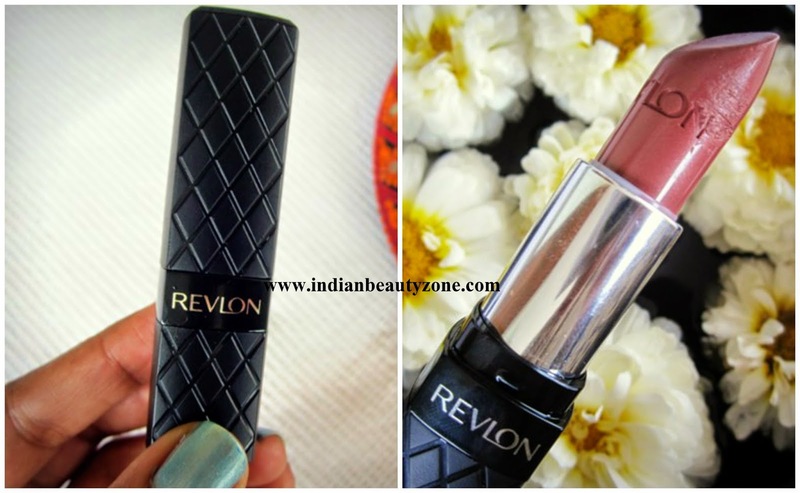 The lipstick comes in a black case with quilted patterns on one side and brand name imprinted. The shade name and number are given at the bottom of the tube. 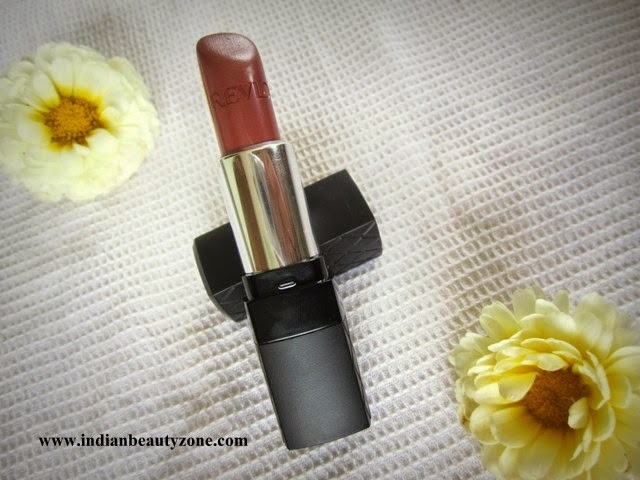 The lid snaps shut and the lipstick can be easily carried around in a makeup bag. The brand name is present on the bullet also making it look more sophisticated. On the whole, it looks classy and neat. evenly with time. It can be easily removed too without any tints left behind. 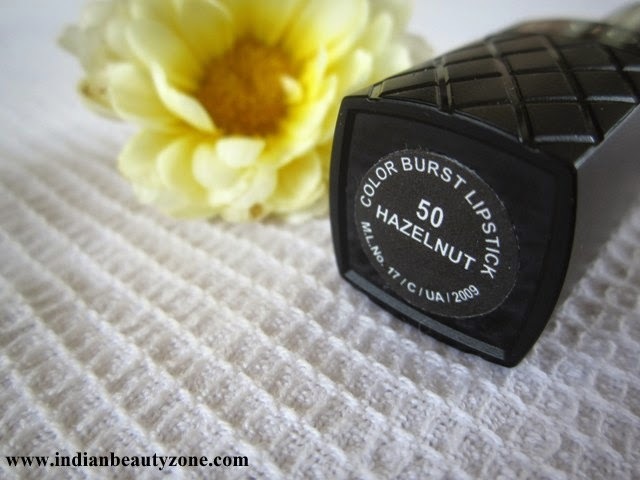 The shade Hazelnut is a perfect pick for those who need a subtle daily wear lipstick. The moisturizing formula makes the product a good one. Even if you are not a fan of this particular shade, there are plenty of other shades to choose from. I am Venetha, a freshly graduated Engineer. I love trying out DIY products and crafts. Writing for blogs is a recently developed passion of mine. My skin type is extremly oily and acne prone. I am diligently trying to keep my skin free from acne. I have black smooth and slightly wavy hair. My hair is a little dry whereas my scalp is oily.